Fry spices (fenugreek seeds, mustard seeds, pepper corns) over a low heat in a skillet/pan until fragrant then add crushed garlic, onion and saute for 2-3 minutes. Add tomatoes, cayenne pepper, ½ cup of water, vinegar, salt and cook for 12-15 minutes or until the tomatoes are mushy and cooked well. Once cooked take off the flame and allow it to cool a bit and then place it in the blender/ food processor, along with walnuts until smooth. Adjust the seasoning with little more spice/ salt if needed. 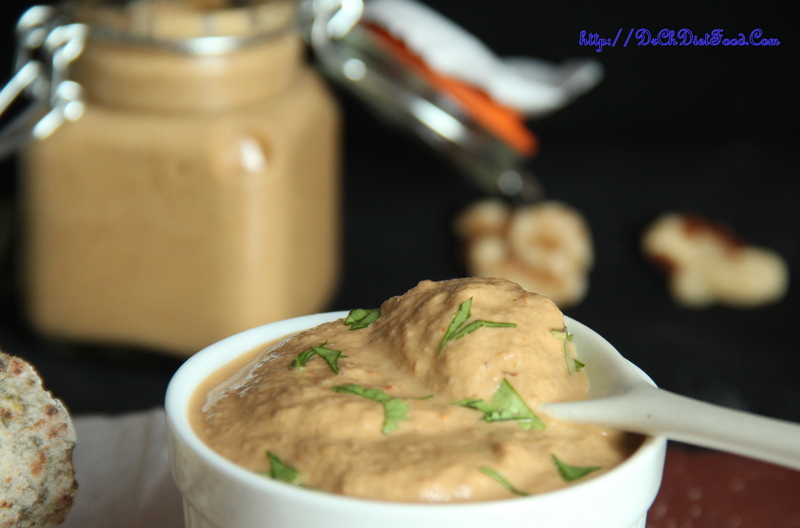 Serve as a dip with chips/crackers or spread on sandwich or even with Chapathi. Spices can be personalised as per taste. Posted on April 22, 2015, in Dips, Dips, Indian, International. Bookmark the permalink. 19 Comments. 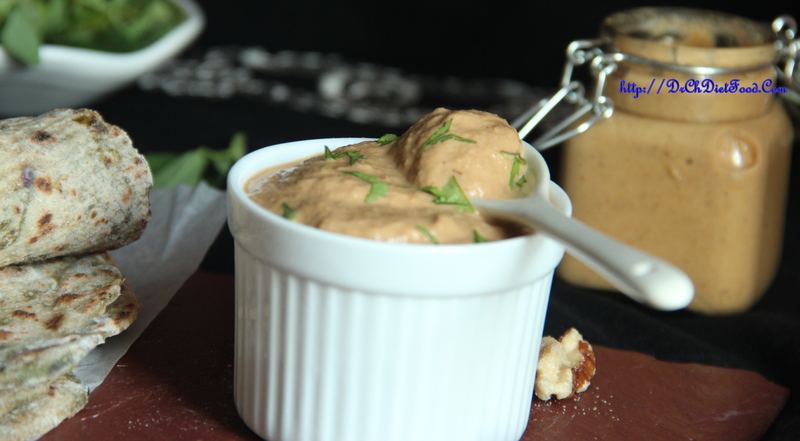 This dip looks delicious, Chitra!